It is no secret that babies have extremely sensitive skin. Some newborns and infants have a heightened sensitivity so regular detergents can have chemicals that cause rashes on babies. 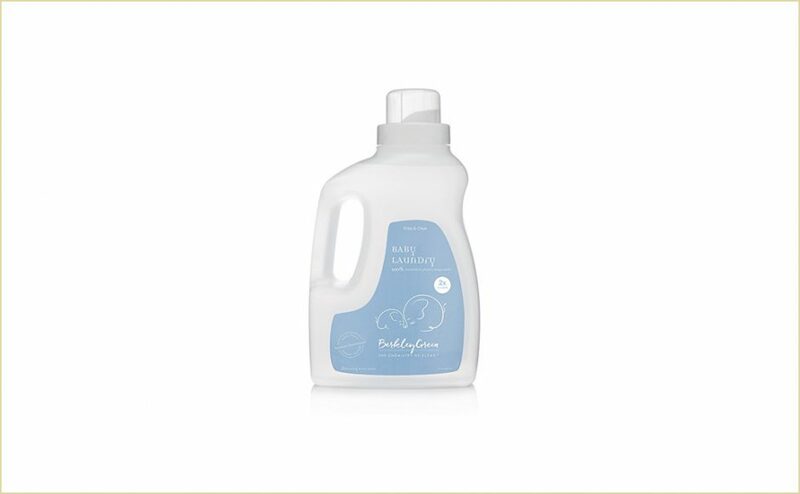 Several companies offer baby detergents that are hypoallergenic and made with safe ingredients. We selected the best baby detergent options and lined them up to the most popular according to their customer ratings. 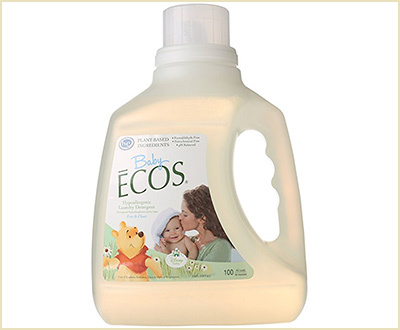 Ecos is an unscented detergent by Earth Friendly Products that is made from ingredients derived from plants. It contains no petroleum, phosphates, chlorine, enzymes, or dyes, therefore being a good choice for babies and those with asthma or allergies. It is color-safe and can be used at all temperatures. Works well to clean baby’s clothing while leaving fabrics soft and fresh. Not as effective when dealing with reusable diapers and stains. Some customers report an unpleasant smell after using this detergent. Recommended to: Parents who need a gentle detergent for unstained baby clothes. 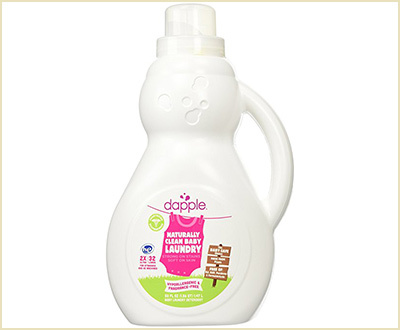 Dapple presents the best baby detergent that is fragrance-free and hypoallergenic. This product protects the baby’s skin from microorganisms and allergies. This baby detergent is made using natural products, like coconut fatty acid, water, and tree oils, which are safe for your baby’s skin and contains no dyes or perfumes. Highly concentrated, so a little will go a long way. Works in standards and HE machines. Recommended to: Parents who use overnight diapers for their babies. 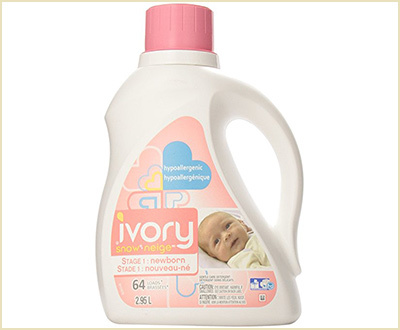 Ivory Snow offers the best baby detergent that is perfect for high-efficiency machines. This product works to create fewer suds while working quickly to clean your fabric. The container covers up to 64-louds. The product is hypoallergenic and specially designed to prevent rashes and allergic reactions on the skin. Gentle product that is safe for baby’s skin. Can be used for hand- or machine-wash. This product has a strong chemical odor. 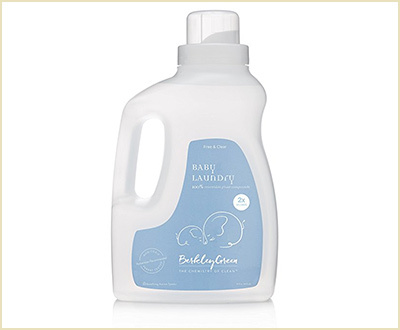 Recommended to: This is the best baby laundry detergent for little ones with sensitive skin. 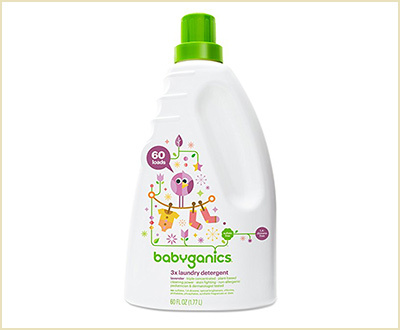 The Babyganics laundry detergent is one of the best baby detergents made entirely of plant-based products. This high-efficiency detergent works well for an optimal clean and Does not contain any brighteners, chlorine, phthalates, or artificial fragrances and dyes. Triple-concentrated and design to clean even the toughest stains. Can clean any textiles from baby clothes to canvas shoes. Does not fade colored clothes. The scent does not seem to last too long after washing. Contains anhydrous sodium borate, which is said to affect the development of babies, the endocrine and reproductive systems. Recommended to: Parents who prefer all-natural cleaning products. Purex is one of the most trusted brand names around for quality baby products, and this baby detergent meets customer expectations. 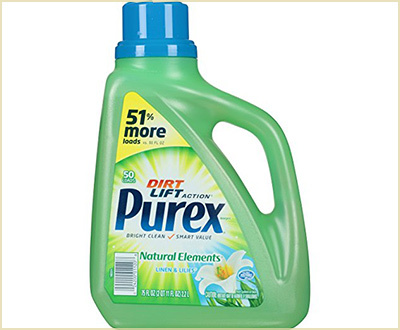 This Purex liquid laundry detergent has dirt-lifting action that works well to tackle even some of the most challenging stains. Affordable, top-quality product from a trusted brand. Highly effective: can clean cloth diapers during a normal washing cycle. The strong smell might be too much for babies. The packaging can sometimes break and leak. Recommended to: This is the best laundry detergent for babies that has a lasting freshness and smell. Seventh Generation presents their laundry detergent that is 4x concentrated to blast through stains while delivering a fresh scent to fabrics. This product contains no synthetic fragrances, it is derived from essential oils and botanical extracts and is a 95% USDA certified biobased product. Does not strip the colors off. Works great for babies and adults with eczema. Contains some chemicals that may be undesirable to earth-conscious parents. Although discreet, its smell is not the best. Some customers say the smell resembles patchouli, not geranium. Recommended to: Parents looking for an affordable product with stain-blasting abilities. 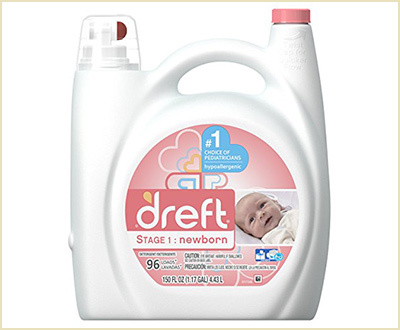 Dreft Purtouch is one of the most powerful cleaning products for babies and is the #1 recommended baby detergent by pediatricians. This product is plant-based and works to remove up to 99-percent of stains from baby food.T his product has no dyes and is 65% USDA certified bio-based. It gently cleans fabrics and is safe for baby’s sensitive skin. Has a great smell if used in small amounts. Highly concentrated, a little goes a long way. Does a great job at removing difficult stains. This product is rather expensive but well worth the cost. It can leave a strong smell and white residues on dark clothes if you use too much of the product. 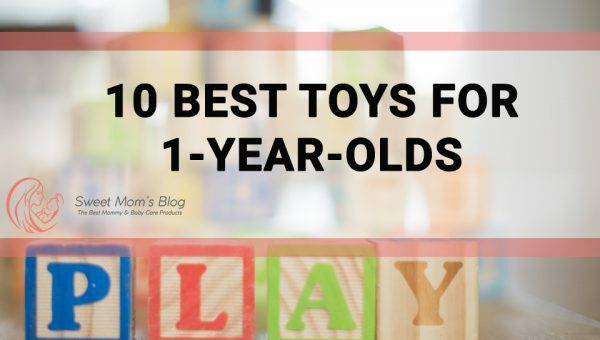 Recommended to: Parents looking for a reliable product with a great scent. 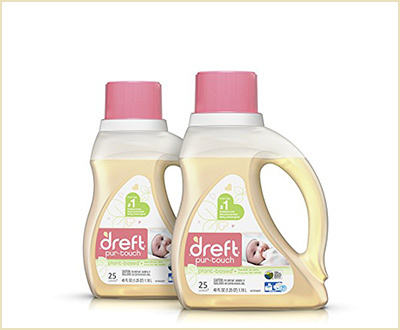 Dreft’s Purtouch liquid detergent is the best detergent for babies with sensitive skin. This hypoallergenic baby detergent is plant-based and works well to protect your little one’s skin. This product is 65% bio-based certified by the USDA, can remove up to 99-percent of baby food stains, and is gentle on fabrics. This product has a very light scent and is one of the most gentle on this list. Works great to remove stains. Overall, it’s a great bargain. The packaging can sometimes drip or break completely. Some might not like the smell of baby powder of this detergent. Recommended to: Parents that are looking for a gentle, yet efficient laundry detergent that’s also affordable. 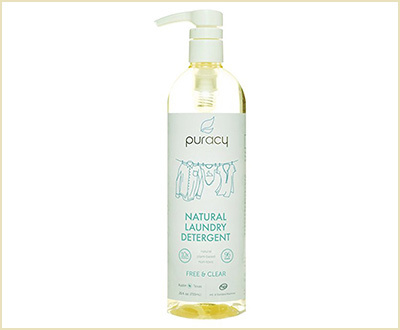 This natural liquid laundry detergent by Puracy is free of sulfates. This detergent was created by doctors and designed especially for babies with allergies and sensitive skin. This four-enzyme formula works well to eliminate stains and dirt while lifting the colors of the fabrics. 10x concentrated to remove even the deepest stains. Only contains plant-, vegetable-, and mineral-based cleansers, stabilizers, softeners, and preservatives. Only requires 2 pumps for HE machines and 4 for normal ones. Smaller loads are recommended for this product while washing in order to improve scent. Perfume might be too subtle. The nozzle can sometimes break or leak. Recommended to: Parents of allergic babies or babies with eczema. 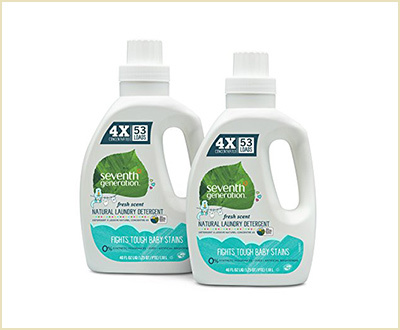 This 2x concentrated baby detergent is packed with reliable plant-powered technology. This product exceeds EPA safer choice performance standards and works well for cleaning even the toughest stains. This product is biocompatible, biodegradable, and harvested from renewable sources. This hypoallergenic product is vegan, gluten-free, and free of GMOs. Super concentrated formula makes it long-lasting. The safest choice for your baby. This product is rather costly. Recommended to: Everyone who is willing to invest in a safe and healthy baby detergent that is hypoallergenic, vegan, and gluten- and GMO-free. Each of these laundry detergents is safe, mild, and highly effective. These products are free of harsh chemicals and they work well for babies with sensitive skin. 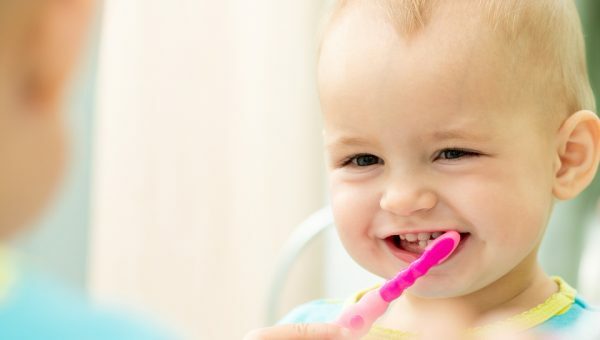 No matter what skin type you are dealing with, this list is sure to have the best baby detergent for you. And while you’re here, you might also be interested in our take on the best nursing bras available online.